If you are looking for a holiday home where you can relax and unwind, then this property is the right choice. 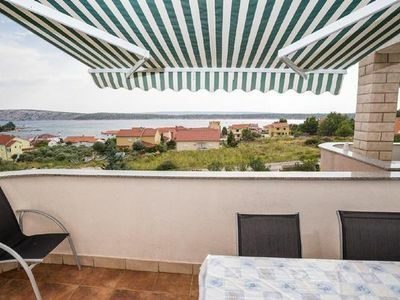 The small house was renovated in 2016 and scored with its quiet, secluded area surrounded by nature in the fishing village Vinisce. 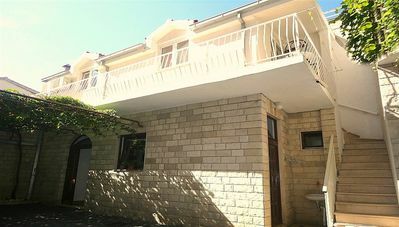 The house is located 1.5 kilometers from the center and 1.5 kilometers from the beach. Every morning when you wake up, when you hear the birds singing, you will feel like in heaven. The place is ideal for a quiet family holiday with children and for guests who want to rest. The single storey house has a living space of 85 m² and can accommodate six people. 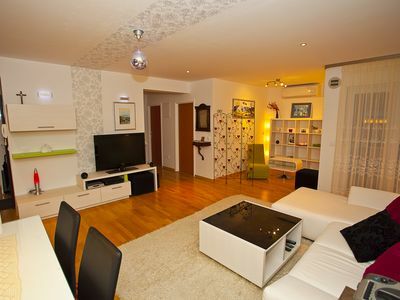 The air-conditioned living room offers a double sofa bed (140 x 180 cm) with cable channels and a stereo. Next to the living room is a bedroom with double bed (160 x 200 cm). The spacious kitchen has a dining area and is fully equipped with stove, oven, microwave, refrigerator, coffee maker and kettle. The adjoining bathroom, which also houses the washing machine is located, has a shower, toilet and hairdryer. 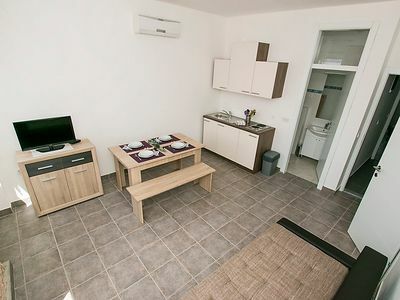 Next to the bathroom is the second bedroom, the (160 x 200 cm) is also equipped with a double bed. The toll-free wireless connection works both indoors and outdoors in the garden. Even if you do not want to the beach once, you have to do without refreshment and fun. The 8 x 3.5 meter pool in the 2000 m² garden can be used around the clock. After the jump into the cool water, you can take on the waiting chairs sunbathe or relax on the covered terrace at the front door with a cup of coffee. A barbecue and an outdoor shower are available. Before the house three parking spaces are available. The property is fenced and suitable for children. In the village you will find a grocery store, restaurants and bars. 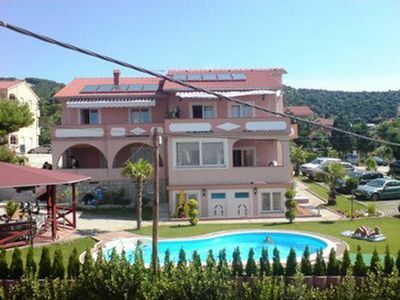 there are only 15 kilometers from the airport and from there buses to Vinisce. The bus stops only 30 meters from the house. 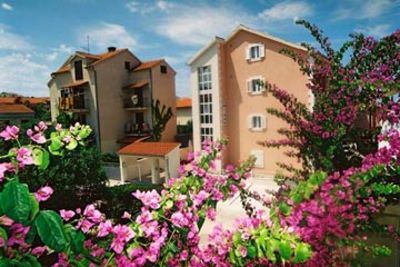 Vinisce is only 20 kilometers away from the UNESCO town of Trogir and is located in a beautiful bay with crystal clear water. Most beaches are pebbly or concrete beaches. There is a small port in the village, whose inhabitants traditionally live off fishing and agriculture. Several bays in the surroundings of Vinisce (Voluja, Ricevo Vrelo, Stari Trogir and Sicenica) are known for their magnificent sandy and pebble beaches as well as for their splendid underwater world, which makes the area ideal for sport fishing and diving. In summer, countless festivals in. Then there are home-made specialties, wine and in the evenings music is offered. Sports enthusiasts can enjoy a game of football, basketball, sailing, jet skiing and numerous other activities such as hiking and cycling. Also boat trips.